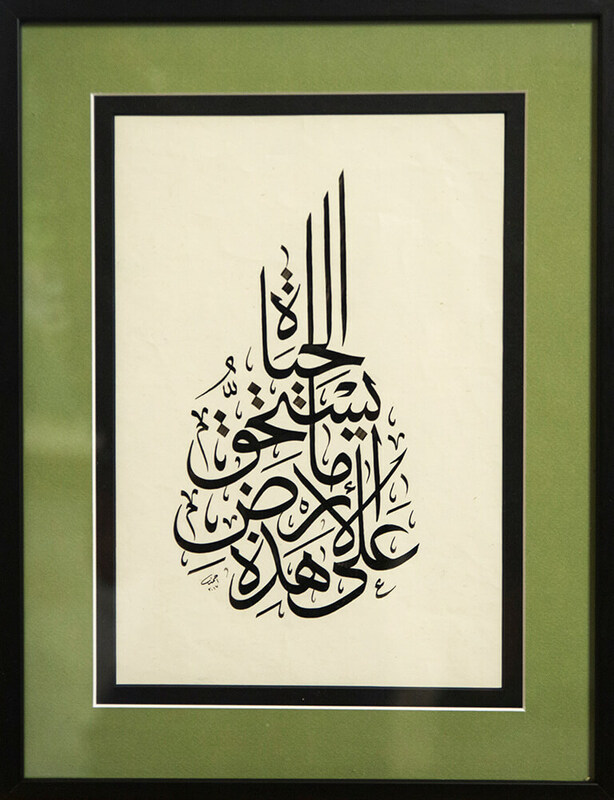 Original hand-painted thuluth calligraphy (a display script) in black ink. The quotation is a line from a poem by Mahmoud Darwish: “We have on this land what makes life worth living”. Includes a label with a translation of the text in English.